Janis Stabulnieks from LTC about Green PE’s company visits. Janis Stabulnieks from the Latvian Technological Center talks about the main tasks of the technology transfer partners, the importance of company visits and their outcomes for Green PE. What are the main tasks of the technology transfer partners providing the company visits within the Green PE project? 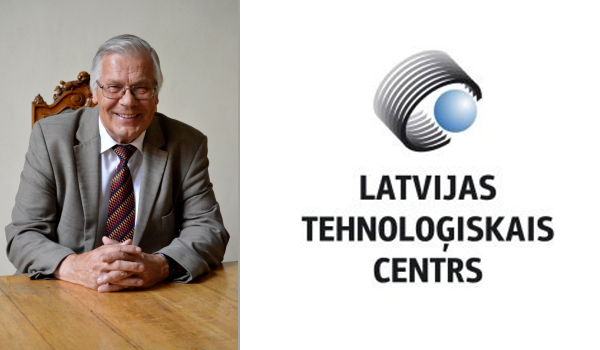 First of all, we see our primary task and main duties in increasing the technological capacity of Latvian companies and in promoting their international cooperation in Europe, including the Baltic See Region (BSR). Forming contacts within the Green PE project is a great opportunity for Latvian companies to disseminate the experience in such widespread and demanded technologies as advanced power electronics (APE). In the framework of the Green PE project the “Transnational Technology and Product Roadmap” was developed. It is an excellent document describing the existing situation, future trends, main players and markets in the BSR. Another task is to get feedback from the visited companies on their technological needs, interests in cooperation with companies in other BSR countries and to learn more about their possibilities to expand their market in the BSR. We collect their ideas and suggestions on how to improve the technology roadmap. Additionally, we also do something similar to a technology audit to find out the power and voltage range for applied power electronics products and prospects of their further development. This will help us to identify technical and economic barriers and opportunities from the industrial perspective and maximise the outreach of the project results. Last but not the least, we invite companies to participate in workshops and inform on the results of the project demonstration pilots. Hereby, the main research and practical test outcomes will be presented and further eventual cooperation links established. What do you think will be the main outcomes of the company visits? In general, the company visits can be estimated as very successful and useful. For some companies (~25%) these technologies were new. Still, they have shown high interest in the Green PE project. Around 50% of the companies have been already informed about general trends in the development of new wide bandgap semiconductors, but not directly involved in their application. Only two companies already have had some experience in the application of these new semiconductors and have been ready for their application in future. Therefore, they need more direct and close cooperation with research institutes and more experienced companies in this field. A side effect of the company visits is the information on products developed by Latvian companies that would be useful for the implementation in other BSR countries. Nevertheless, the subject of these products is different to the demonstration fields selected in the project, e.g., a sophisticated IT-based control system for smart houses (company “ISTABAI, Ltd.”). What do the companies gain from the visits provided by the Green PE technology transfer partners? The companies were satisfied with the provided information. After the visit, they were invited to join the project activities to find appropriate cooperation partners. The companies also expressed interest in getting further information and were ready to join the cooperation network. Most of them had high interest in face-to-face conversation (consultation) with experts directly working in development and design of power electronics equipment based on new semiconductor devices and drivers for wide bandgap semiconductors. Additionally, the companies gained expanded knowledge in construction specifics. Can you provide an example of a successful company visit? The most successful company visit is the visit to company “ELMI, Ltd”. The company produces a wide range of equipment for biomedical laboratories, e.g., stirrers, mixers, shakers, centrifuges, etc. with sophisticated thermal and speed control. The fully IT-based system control interfaces with a PC-based information system. The main power element of every unit is a stepping motor with a patented IGBT- based control device that controls the power. To increase energy efficiency, reduce weight and size and to increase reliability and operation safety the company is looking forward to introduce new wide bandgap semiconductors and is happy to get some useful information of the Green PE project. What has been the feedback from the companies so far? Up to now, we have just formal contacts with the visited companies, mainly e-mail correspondence. The companies are waiting for concrete results and recommendations from the demonstration pilots. We expect to get the main feedback during the three final local workshops where the results of the pilots will be presented.